Sherry Boat offers 4 well planned itineraries from which to chose. Starting October 09, 2015 until end of September 30, 2016 cruise. Starting October 05, 2015 until end of September 26, 2016 cruise. 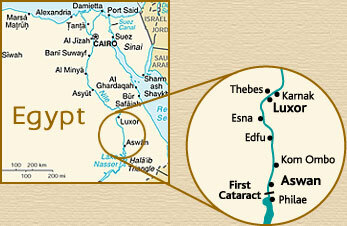 Upon arrival time in Luxor, visit Luxor Temple. Starting October 09, 2015 until end of September 23 2016 cruise. Sailing to Edfu. Visit the Temple of Horus. N.B. Sherry Nile Cruises reserves the right to change the schedule, prgram and sailing hours for reasons beyond control, such as water level, opening of bridges, long queues of boats at locks, etc. during the cruise.